We all try to stay healthy and balanced, but let’s be real, sometimes we all over-do it a little! Our new Party Detox formula is for those times when we overindulge in one way or another. Yes, it is great for the morning after a bit of boozy night, but it is also great for when you have overdone it with food, lack of sleep or whatever your party time included! 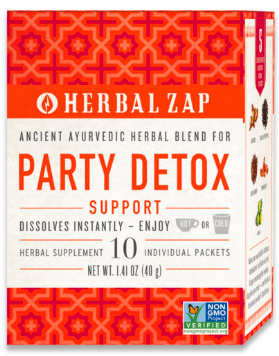 How it works: Party Detox uses the power of herbs soothe your stomach and detox your whole system. When to take: Take it anytime you feel like your system is bogged down and need a little stomach soothing and detox! Ingredients: Ingredients: Ginger, Amala, Turmeric, Coriander, Black pepper and Key lime bound to a small amount of cane sugar as the carrier for the herbal extracts. Nothing else!